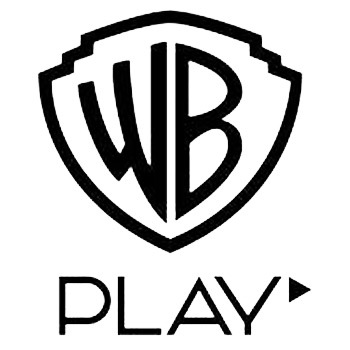 WB Play: Is Warner Bros. Secretly Developing a Steam Competitor? Is Warner Bros. preparing to go head to head with Steam and Origin? Something is brewing over at Warner Bros. Interactive Entertainment. The publisher behind Batman: Arkham Origins, Injustice: Gods Among Us, Mortal Kombat, and a practically never-ending list of other titles might be preparing to launch its own distribution platform. Last month, Warner Bros. filed a series of trademark applications for something called "WB Play." The filings cover things like "online retail store services," "audio and video broadcasting services," and "entertainment service." But the centerpiece of Warner's trademark goulash is the "downloadable virtual goods" application. Here's what the trademark covers: "Downloadable virtual goods; downloadable electronic strategy and instructional guides for computer and video games; computer game software; video game software; audio and video recordings in the fields of computer and video games; downloadable multimedia files containing artwork, text, audio, video, games, and Internet Web links relating to computer and video"
Until now, Warner Bros. has always relied on platforms like Steam and Origin to distribute its games, but all of that could change very soon. In fact, there's a good chance that it'll launch before the end of the month. Middle-earth: Shadow of Mordor is set to launch on September 30th, and the game's website has already been slyly branded with the WB Play logo (check out the upper left-hand corner). Obviously, we don't know if WB Play will become the exclusive retailer of Warner Bros. games, and Shadows of Mordor is currently available for pre-order on Steam. So, exclusivity might not be an issue. The folks at Warner Bros. have been keeping this a secret for quite some time. The domain name wbplay.com was registered back in back in 2013, but it's currently an empty hole in the Internet. "Providing access to computer, electronic and online databases; audio and video broadcasting services over the internet or other communication networks; providing access to websites by enabling users to log in through a universal username and password via the internet and other communication networks"
It's hard to tell what's going on from the language, but WB Play will definitely have some kind of audio and video component. Warner Bros. owns a record label and has billions of dollars wrapped up in its television production arm, so it wouldn't be surprising to see all of these rolled into one convenient storefront. Again, we don't actually know how Warner Bros. intends to use these trademarks. However, the company is obviously putting together some kind of distribution platform. Though, it's hard to tell if it's a Steam-like service or some kind of online storefront. We have reached out to Warner Bros. for a comment, and will continue to keep you updated as the story unfolds.